Opabunmi has vowed to stop any of his children from joining the national team in the future. ‎The third Most Most Valuable‎ Player of the 2001 FIFA U17 World Cup like I reported days back is losing his sight and needs money to cater for himself and his children. 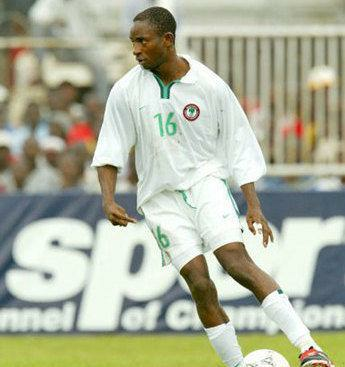 Speaking ‎on a live radio programme on Top Radio FM, Lagos yesterday, the ex Golden Eaglets players mentioned that the NFF abandoned him in time of need. “Its a bad story. Sometimes I don’t want to watch Nigerian ‎football because any ‎day I want to do so, I cry,‎ I don’t know if the NFF will help me now. I needed their ‎assistance. I will like my children to play professional ‎football in future, but I will not allow them to play for this ‎country. Lionel Messi film: Meet the cool kid playing his role.